One of the items I was kindly gifted was this Sheer Botanical Lipstick* in the shade #32 Rose Cocktail. Packaging is made out of plastic and it is cherry coloured [to match with the 100% Cherry Oil infusion I bet]. Even thought it is plastic it does snap shut with a satisfying click. 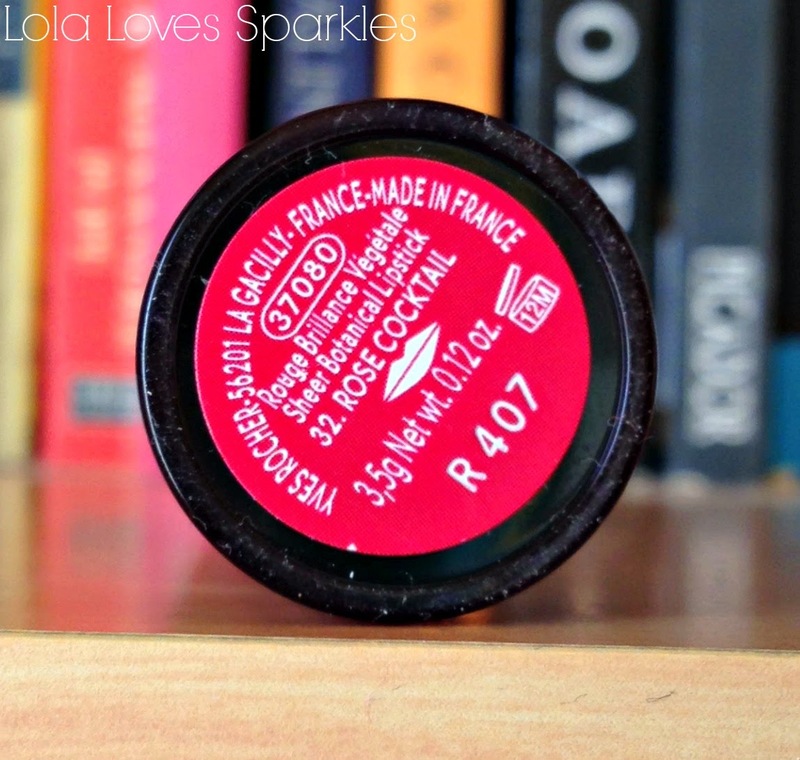 You also get the name of each shade together with a similar coloured label on the bottom of each lipstick tube. 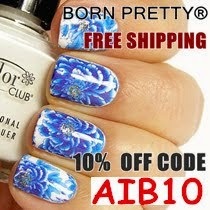 The colour I chose, Rose Cocktail, is one of 12 available shades and is a light pinky shade. 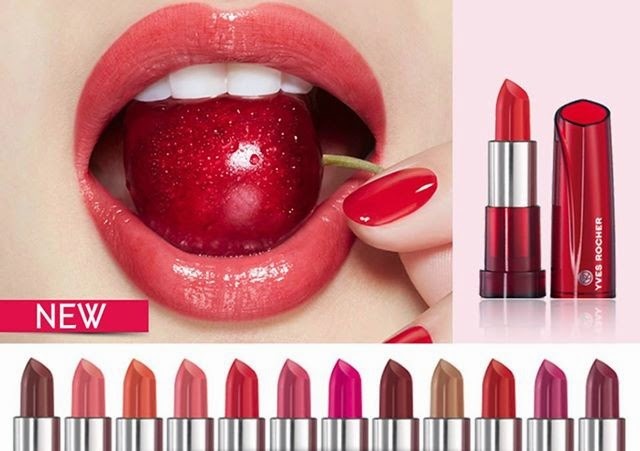 As the name of these lipsticks implies, the colour payoff of these is very sheer - i.e. 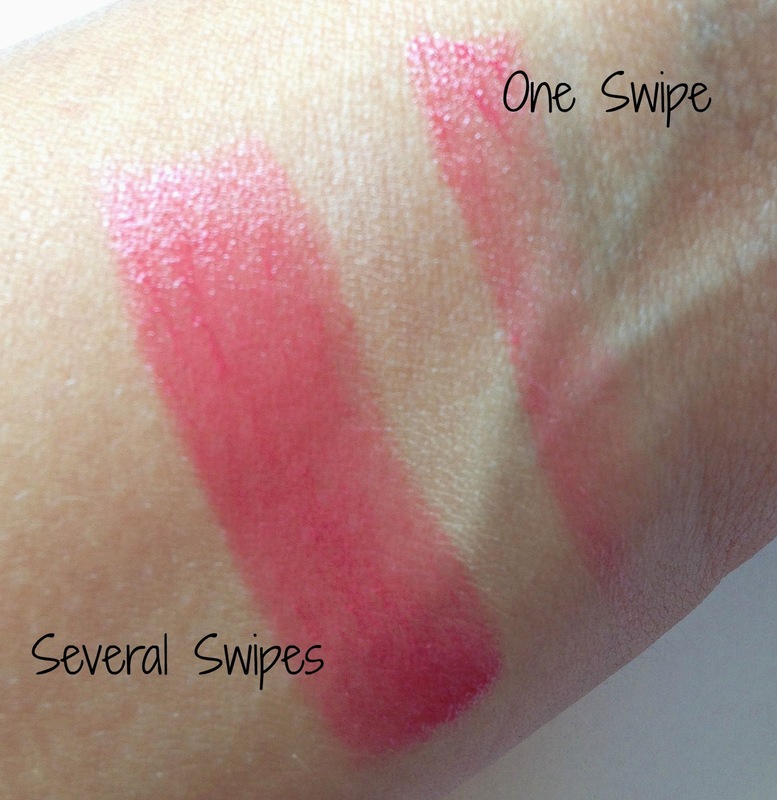 you need a couple of swipes to get the colour to properly show off on your lips - but this is not a bad thing. After all, the payoff is supposed to be sheer. 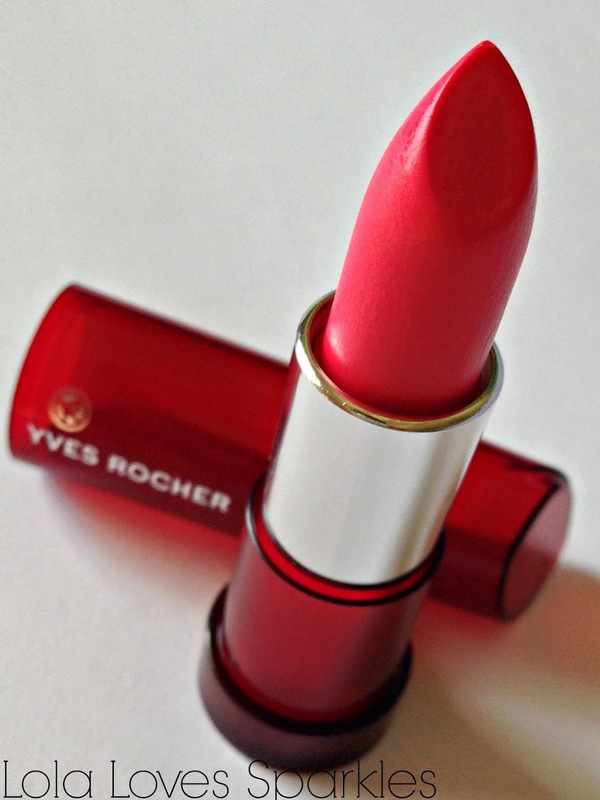 This means that this is a perfect lipstick for those ladies out there who are scared to use highly pigmented lipsticks. Of course, these can also be worn for work, for shopping, by the beach, or where ever else takes your fancy. I, for example, have been using this daily for daytime use, especially since it has great nourishing properties. 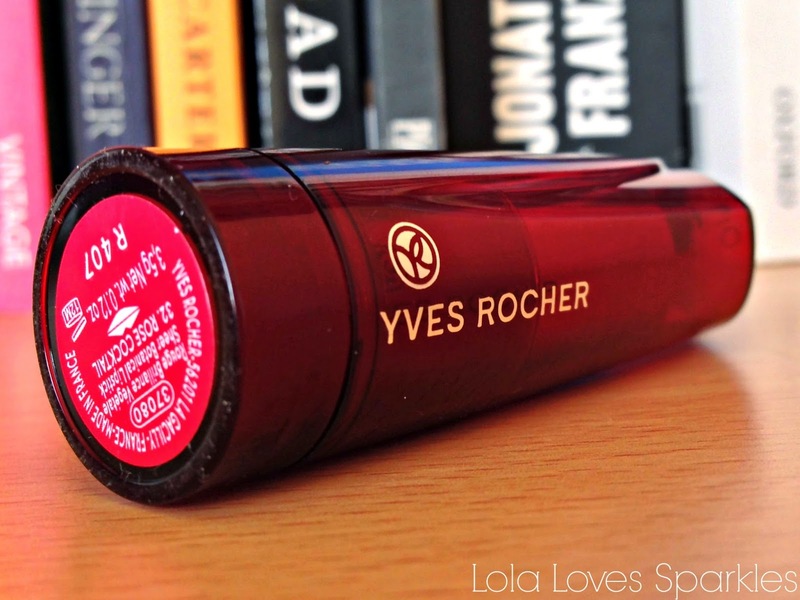 I swear, I keep re-applying this lipstick because of its taste and smell! Mmmm, yummy! As a side note - if you have extremely chapped lips I would advise to exfoliate them prior to using this lipstick because it does kind of stick to dry patches on your lips. And as for longevity, since this is a very sheer, glossy lipstick, you do have to re-apply quite often - between an hour or two depending on if you have eaten, etc. 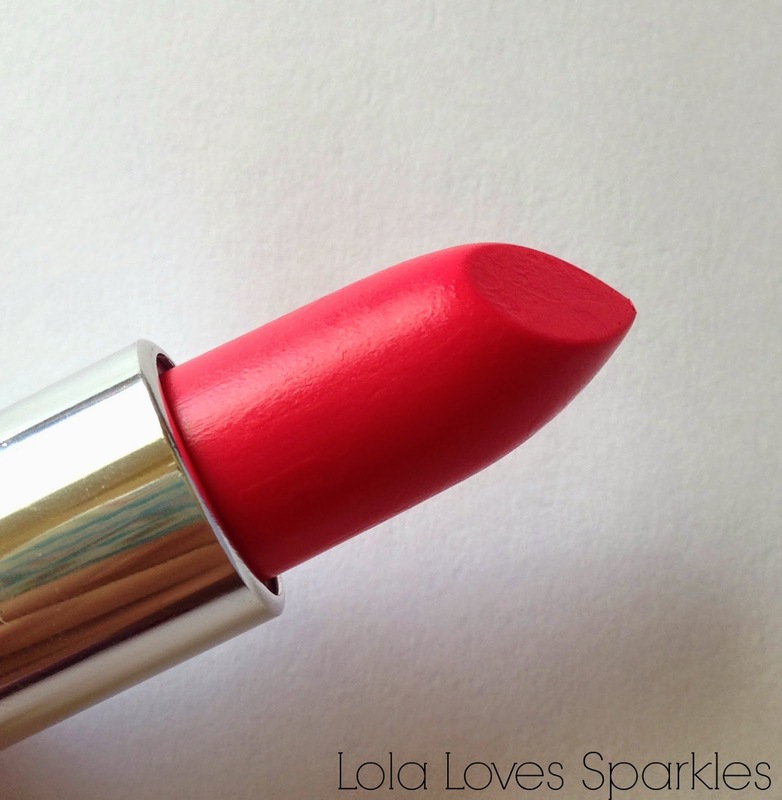 But of course, this lipstick is a pleasure to apply and quite a treat for your lips, too! Taken in natural lighting, no flash. Photo thanks to Yves Rocher Malta Facebook Page. 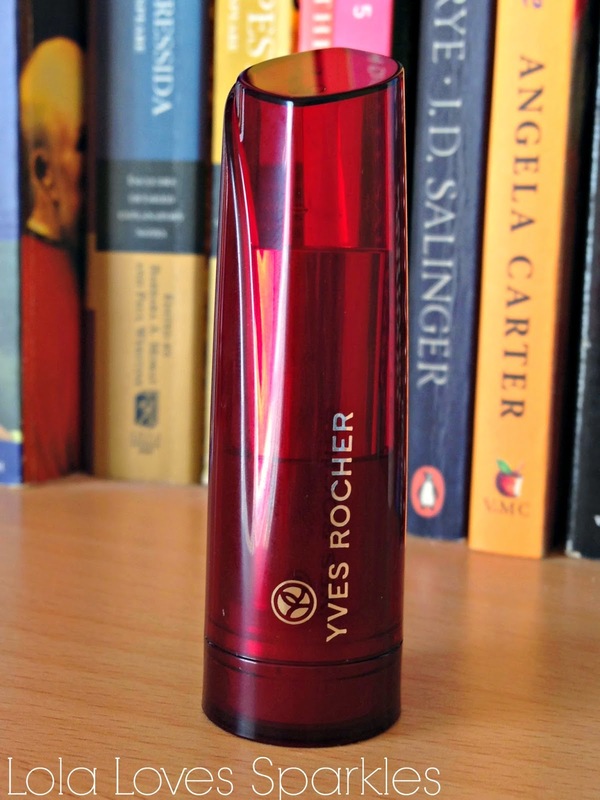 For more information, follow the Yves Rocher Malta facebook page by clicking HERE.